Jamesville’s James Jones, II (aka Lebron James Jones) will be furthering his education and continuing his hoop career at SUNY Cobbleskill in the fall. He is currently playing in the EBC Pro-Am Tournament for SheedSeason44. 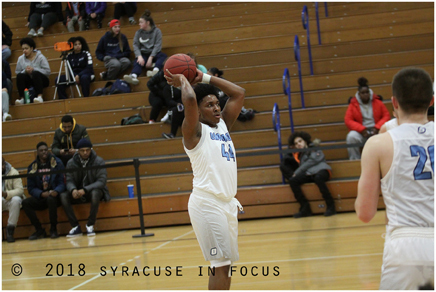 He is pictured here during a game against Finger Lakes Community College last winter.